Atlassian is all in on collaboration software. The Sydney-based developer behind Jira and HipChat is buying the popular collaboration app Trello in a deal valued at $425 million — $360 million in cash, and $65 million in stock. The acquisition is expected to close before March 31, 2017. 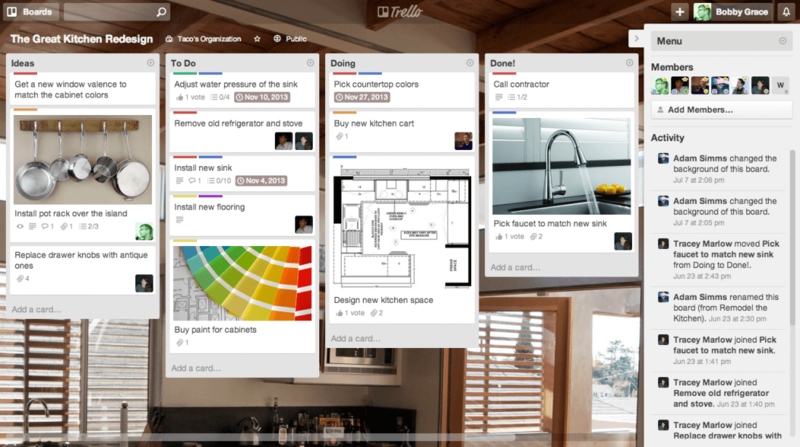 Based on the kanban-style, ‘board’ architectural model, Trello makes structuring work easier by giving you a visual overview of task responsibilities, progress, and upcoming deadlines with a simple drag and drop interface. It’s a flexible, simple product that can be used for a variety of purposes. We've been using it to organize our editorial calendar for the past few years, for example. The service currently has about 19 million users, including employees at large companies like Pixar, Adobe Systems and Google. Last year Microsoft launched a similar task centric work management tool for Office 365 called Planner that’s aimed at taking some of those users away from Trello as well as Asana. This marks Atlassian’s 18th and largest acquisition to date. Trello's roughly 100 employees will join the 1,800 already at Atlassian, and just like with many of its previous acquisitions, the company plans to keep both the service and brand alive and current users shouldn’t see any immediate changes. Speaking about the acquisition, Atlassian President Jay Simons says he sees Trello fitting in between their existing Confluence and Jira collaboration software. The company says it plans to ramp up efforts to integrate Trello with its own offerings, such as its HipChat group chat product, and it doesn’t plan to cut its current integrations with competing software like Slack.